The Black Friday sales ad is now available for those Walgreens shoppers. You can view that sales ad flyer below. Please note: You will see TWO Tabs, one is the actual sales ad, while the other will list out all the items and prices in a simple format. Want to shop from the ad? Hover over any item with your mouse and tick the “Buy Now” option. Browsing and shopping from the ads directly just got a whole lot easier. 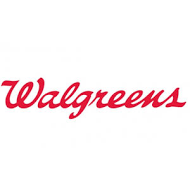 Walgreens will be open for their regular hours on both Thanksgiving and Black Friday, so if you live near a 24-hour store, you’ll be able to shop early!